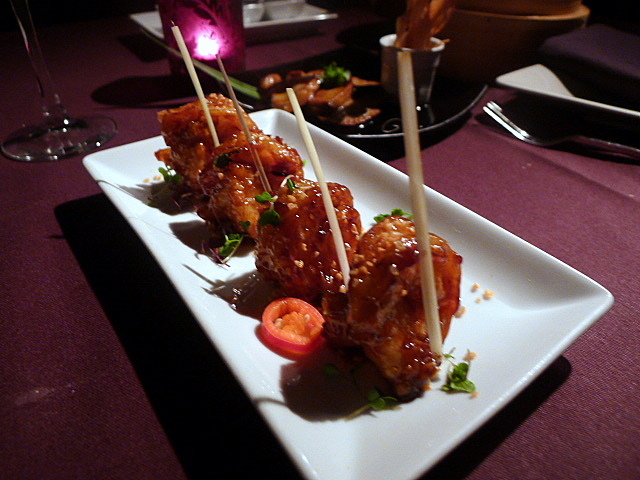 For a taste of nightclub dining, I recently tried Tamarai at their invitation. Billed as a pan-Asian restaurant and bar, it also morphs into a club at 11pm with a DJ and a 3am licence. As befits a nightclub, the décor is dark and dimly lit with lots of well spaced plush seating. But it felt a little tired and probably could do with some refreshing. 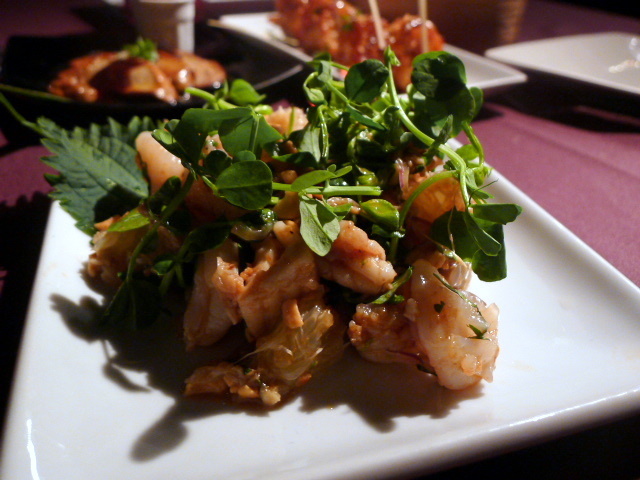 Caramelised Szechuan pepper king prawns (£16) was seductively good for the fat, meaty and tasty jumbo-sized prawns. There wasn’t anything particularly Szechuanese about the dish, no real hint of heat or spiciness, but there was a lovely sweetness coming through from the caramelisation effect. Pan-seared foie gras was unctuous and nicely cooked. 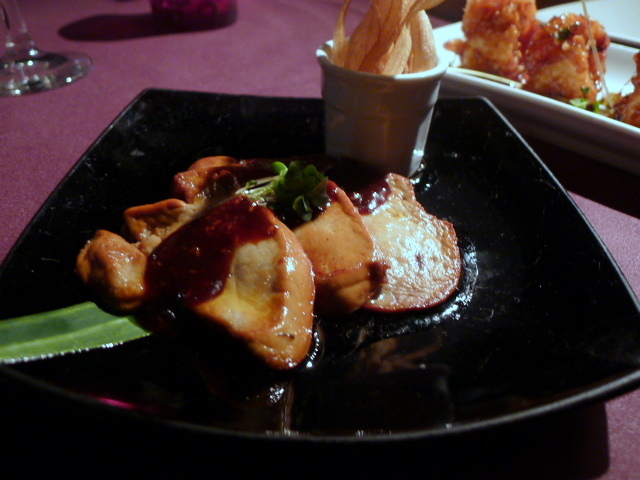 It was served with lotus root crisps and a sweet Thai tamarind sauce (£12) which was a touch too sweet for the foie gras. 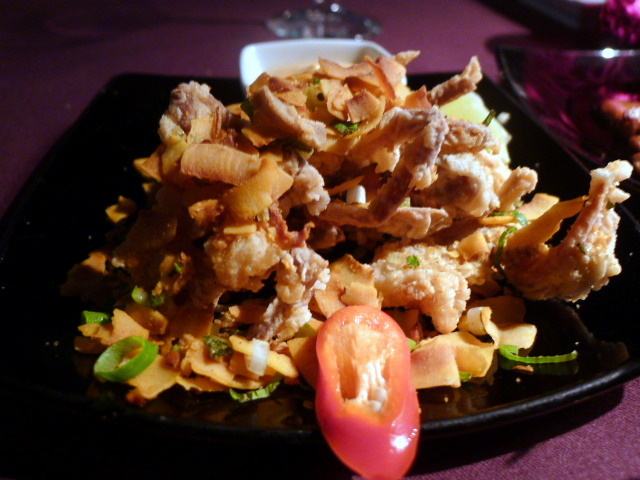 Soft shell crab had been cooked with a super crunchy, hard batter. The crunchiness of the batter was admirable, but soft shell crab works better with a lighter, tempura batter. It was accompanied by some flame-roasted coconut and a rich masala mayo (£16). 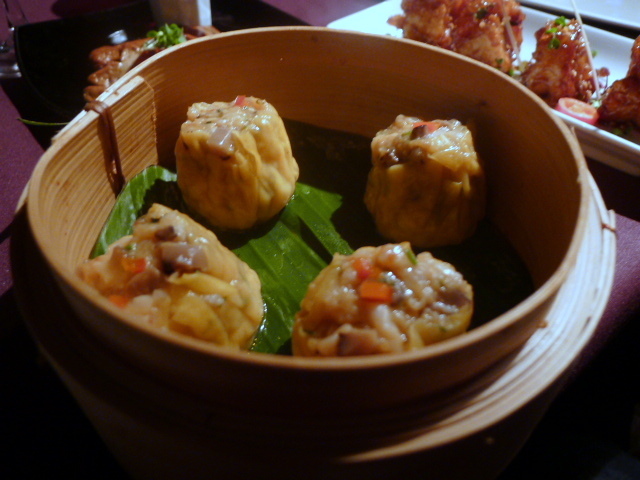 Scottish scallop shu mai (£9.50) did not appeal. Their preparation was poor and they fell apart on contact. Its texture was mushy and far from authentic. The filling, a mixture of minced meat and finely chopped scallop, was also quite spicy which overpowered the delicate flavour of the scallops. A salad of sweet pomelo, peashoots and a mixture of seafood (16) was a little dull. The sweet, fruitiness of the pomelo was nice and it gave the dish acidity, but on the whole, the salad was a little flat with the prawns being bland. 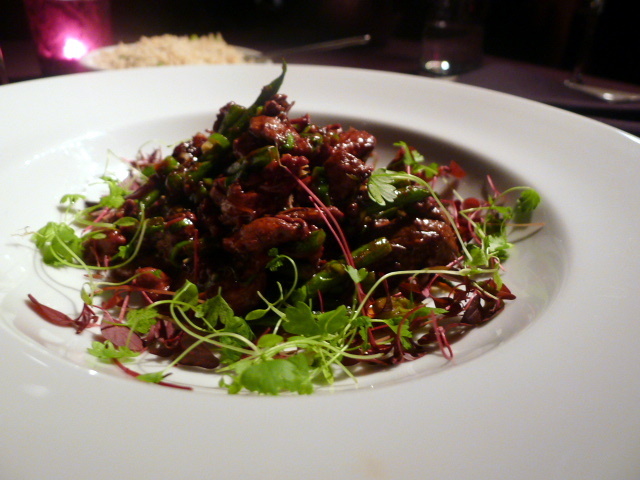 A main of dry fried Scottish beef with green beans and chilli xo sauce (£24) was well cooked and gave way to tender slivers of meat. But the beef was overpowered by the heavy use of the sauce. 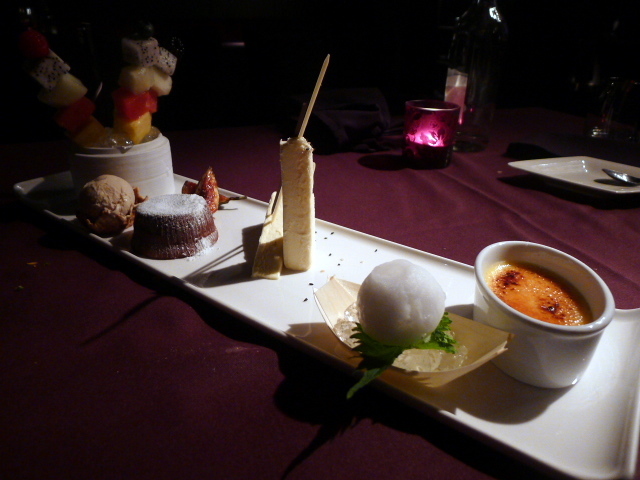 The Chef’s dessert platter (£23.50) included a combination of Tamarai desserts such as the warm chocolate fondant with five spice ice cream, seasonal fruit satay, and coconut and palm sugar brûlée with elderflower sorbet. The brûlée was very well made with a wonderful creamy texture. The fondant was also well executed and gave way to a dreamy chocolate core, but the chocolate was a touch too sweet. The food is ok, but with its attempts to draw from Chinese, Indian and Thai influences, the menu is stretched too far for Tamarai to do any one particular style really well. The pricing also feels a touch steep for the quality of the cooking on offer. But above all else, Tamarai is pitched as a nightclub rather than a restaurant. As such it’s difficult to consider it as a destination over other restaurants. Price range: £28 – £54 for three courses. Excludes drinks and service.